For an economist, one of the most educational and entertaining shows on TV these days is Shark Tank, which lies squarely in the intersection between venture capital and reality TV. 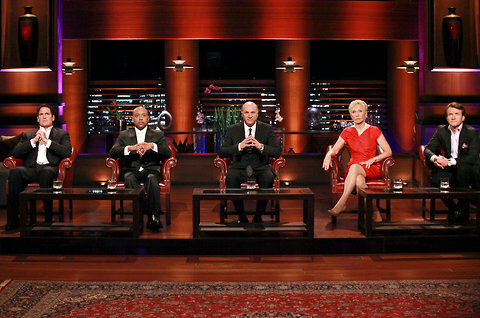 The judges, called "sharks” are shown as choosing whether or not to invest their own money in ventures on the spot as entrepreneurs make their pitch during the taping of the show. There are also some follow-up segments about how ventures one or more of the sharks invested in previously have been doing. for a wide variety of goods and services. I think a great undergraduate economics thesis could be written by watching all of the episodes of Shark Tank, compiling all the data on price and marginal cost and then analyzing the determinants of the markup ratio (such as sector and how different the product is from competing products–something that could be coded up systematically from the televised discussion in the show). where ε is the price elasticity of demand seen by the firm. The price elasticity of demand seen by a typical firm (or a typical firm’s target markup ratio) is a key parameter for macroeconomics as well as for industrial organization. For example, the value of ε tells how close things are to perfect competition. and ε is important for optimal monetary policy, as you can see in my discussion of Michael Woodford and Vasco Curdia’s paper at a conference at the Bank of Japan. Macroeconomists typically assume a value of 1.1 for the markup ratio, which implies ε = 11. To me, that seems too low a markup ratio and correspondingly, too high a firm-level price elasticity of demand. In any case, the value of typical markup ratios is a central issue that should be disputed in the light of as many different types of relevant information as we can get hold of. So if one (in my view mistakenly) includes marginal marketing cost as part of “marginal cost” then the markup ratio should always look like 1 for an optimizing firm. This obscures the key forces arising from a markup of price over the marginal cost of making and delivering a product.